Be honest with yourself. How much attention do you pay to your teeth and their health? On a scale of “What toothbrush?” to “I brush, floss, and rinse 3 times a day, everyday” I feel comfortable saying that I’m a “brush, floss, and rinse 2 times a day”. This, according to the American Dental Association, puts me in the middle of the pack, which isn’t bad but still leaves me at a great enough risk for gum disease that I should step up my game. Gum disease itself is caused by poor and inadequate oral hygiene, meaning the person either doesn’t brush enough, doesn’t floss enough, or both. Now, I know there are a variety of reasons a person may not be brushing and flossing enough, and the most common is likely that they’re too busy. It’s easy for us to overlook our teeth in today’s busy times. In fact, many people substitute a stick of gum for a toothbrush during their day to keep their breath fresh, and while this is great for noses everywhere, it’s likely not enough for your teeth. 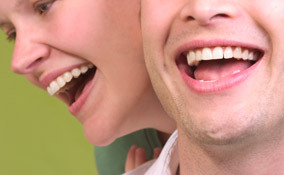 Consequently, the CDC currently estimates that roughly half of all American’s suffer from some form of gum disease . So, what is gum disease? According to the American Dental Association, periodontal disease (a.k.a Gum Disease) “is an inflammation of the gums that, if severe, can lead to the loss of the tissues that hold your teeth in place. It is caused by plaque, a sticky film of bacteria that forms constantly on teeth.” If your teeth don’t get brushed, this plaque will harden and cause inflammation that leads to sore, bleeding gums, painful chewing problems, and even tooth loss. There are two levels to gum disease: gingivitis and the more severe, periodontitis. Now, regardless of which form you have, it isn’t good, and you should fix it as soon as you can. Gum disease, if untreated, has been linked to increased risk of heart disease and difficulty controlling blood sugar; not to mention it makes your breath smell less than pleasant. So, clearly it’s not a disease you should invite into your mouth, but if you do get it, how can you treat it? There are a number of ways to treat gum disease depending on how severe you have it. You can go to your dentist and get a thorough cleaning for mild cases or get surgery, or turn to nature for support. It is a strong organic solvent that dissolves the lumps of white blood cells that make pus. This allows your blood stream to clean them away helping to clear infections like boils, sores and ulcers. Best of all, it is soothing on application and eases away pain you may have on your gums. In fact, tea tree oil is so powerful and awesome that it has been commonly used to treat other things like acne, athlete’s foot, fungal infections, dandruff, boils, and lice. It really is a remarkable oil, and when it comes to your teeth it could be the best solution around for any gum disease you may have. In order to get rid of gum disease, you can use tea tree oil by putting one drop on top of your normal toothpaste whenever you brush your teeth. If you are using a tea tree oil extract, it is important that you avoid swallowing the oil, as it can cause irritations of stomach such as diarrhea, and nobody wants that. You can find tea tree oil in many forms ranging from extract to actual toothpaste infused with the oil. 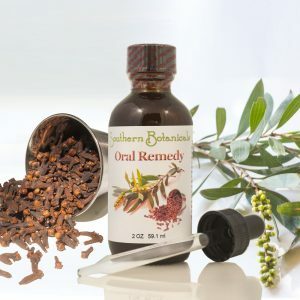 Here at Southern Botanicals we have our Oral Remedy Concentrate, which combines Tea Tree Oil with Echinacea angustifolia and purpurea, bayberry and oak bark, cayenne, peppermint oil (contains a plethora of medicinal benefits), and clove bud oil. By going with a natural remedy like tea tree oil, you can find a solution to your gum disease without turning to expensive treatments, medications, or surgeries, which are often painful and always taxing on the wallet. Remember: It’s your life, your health, and your choice. Check out more amazing information on Tea Tree Oil here!